Koh Samui is a top destination in the Gulf of Thailand, and it’s ideal for those who love warm weather, soft sand, amazing nature and delicious Thai cuisine. And the fun doesn’t stop here, as the island has fantastic nightlife, opportunities for sporting activities of all kinds and luxury accommodation. If you’re thinking of buying a property in Koh Samui, either as an investment or as a place to live, we have a list of amazing properties that are definitely worth checking out. Just make sure you do some research about the legal requirements for owning property in Koh Samui before you start your search. Koh Samui has absolutely stunning views of the sea and the flourishing natural environment, so read on to see some of the best seaview condos on sale right now and secure your very own piece of exotic paradise. Located in the heart of Plai Laem, on a hillside with an easy access road, this stunning condominium features spectacular sea views over Koh Som and Kog Phangan islands. The apartments are right next to the airport and a short walk away from the Big Buddha, golf courses Choeng Mon Beach and Bangrak Beach. The ferry to Koh Phangan and Koh Tao is also close by. Facilities include: infinite salt water swimming pool; fully equipped gym; chill out garden with leisure area; coffee shop; 24/7 security; CCTV; parking. 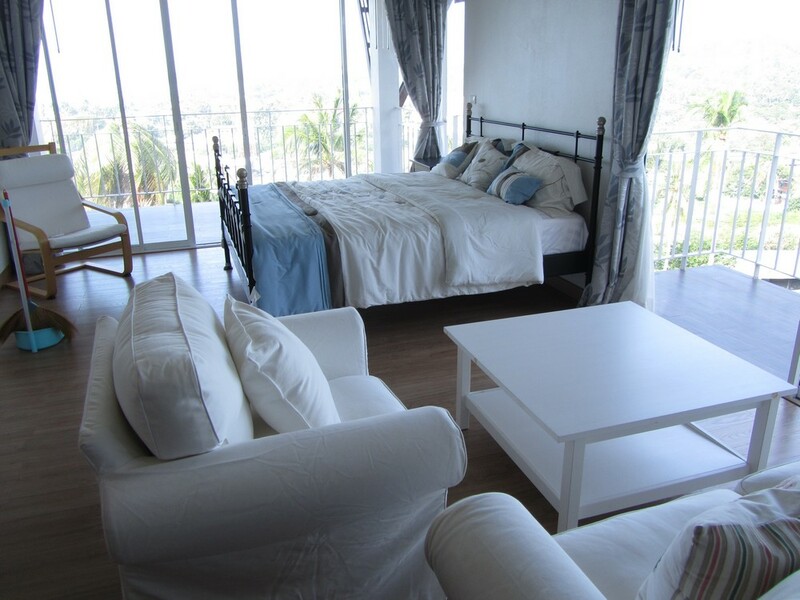 All apartments are fully furnished, including a fully equipped kitchen, WiFi, and amazing seaview from the terrace. 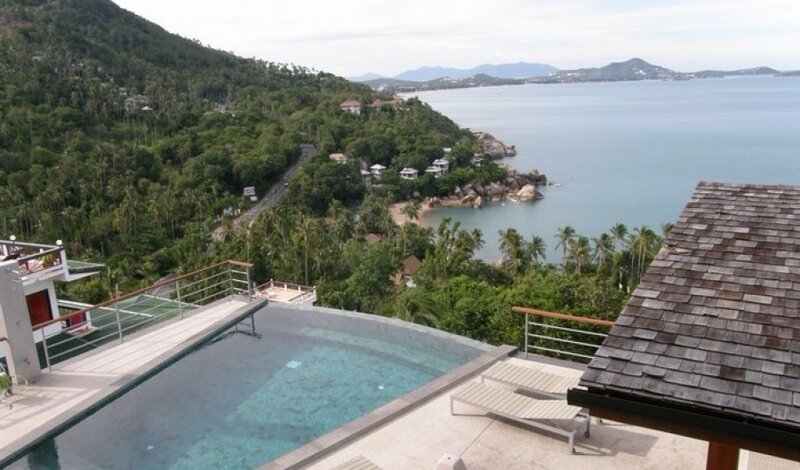 This apartment is located on a scenic hilltop in the North East of Koh Samui, in Plai Laem. It has spacious balconies and an open plan layout with chic furniture, offering a pleasant living experience at 101 sqm. It’s close to shops, golf courses, stunning beaches and the airport. The unit is made up of 3 separate blocks and a shared swimming pool, a gymnasium and a coffee shop. It has 24-hour security, internet access and parking. The apartment includes a fully equipped kitchen, two bathrooms, TV sets, air conditioning and a be autiful pa noramic seaview from the large terraces. The rooms are built with huge windows, so you can wake up and see the wonderful view right from your bed. The condo can be found on the North coast of Koh Samui, in a 5-star development which overlooks the sister island of Koh Phan Ngan, the host of the famous Full Moon Party which takes place monthly. The unit is fully furnished with high quality, imported European furniture which gives it a sophisticated look, and it has two bedrooms and two bathrooms. The large terraces present wonderful views of the sea and the surrounding natural environment, so they are a perfect place to relax and read or sunbathe. There are numerous luxury facilities such as a shared swimming pool, jacuzzi, audio system, TV, and cleaning service. Nearby you can find golf courses, shops, beautiful beaches and the airport. The complex is completely secure, with 24-hour electronic surveillance. This is truly a 5-star property, therefore there is an excellent rental return potential. A few meters away from the stunning Bang Rak Beach, this modern apartment offers a great selection of on-site facilities including a large swimming pool with two pool bars, a restaurant, a fully equipped gym with sauna and jacuzzi. For sports lovers, numerous fitness classes are offered in the gym including yoga, and there are also basketball and tennis courts on-site, all of which guarantee that you’ll never get bored. There are 5-star hotel-style services, including a reception lobby, concierge service, room service, property management and 24-hour gated security and CCTV. The apartment on offer is on the 4th floor and its surface area is 68.8 sqm. It has a separate living area and a fully equipped kitchen, an en suite bedroom and a balcony where you can drink your coffee in the morning and relax. The development is close to the popular Fisherman’s Village and Bophut beaches, the airport, golf courses, shops and all the other popular attractions of Koh Samui’s North East area. The apartment features beautiful panoramic views over the Big Buddha and Bang Rak Beach, and it is very spacious at 150 sqm. The unit is fully furnished with an equipped kitchen and stylish high-quality furniture, and it has large windows which bring in plenty of natural light and show off majestic views. It includes luxury benefits such as a cleaning service, 24-hour security, parking, TV, air conditioning and bed linen. The complex has a shared swimming pool, internet access and beautiful terraces from which you can take in the sun and the amazing scenery. It’s close to beaches, shops and tourist attractions in Koh Samui. 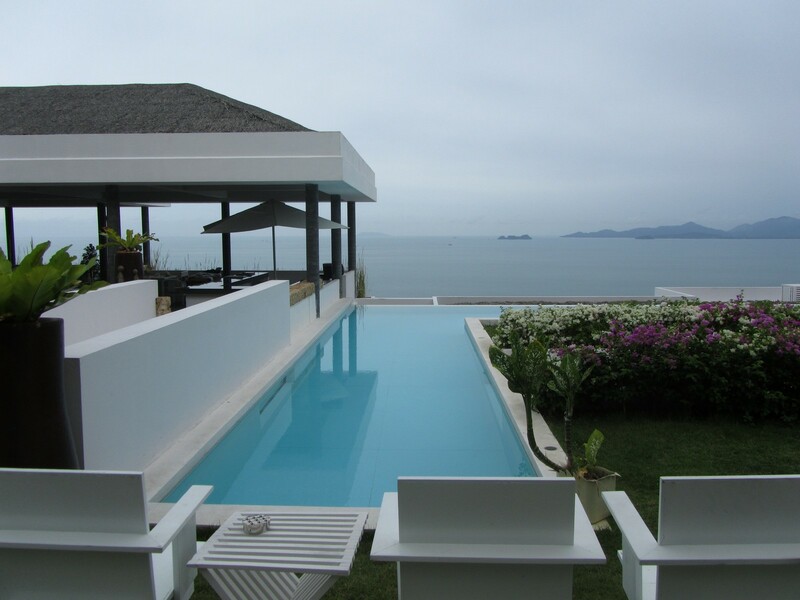 All of the properties above have superb views over the azure waters of the Gulf of Thailand and they are perfect if you want to make a great investment. Thailand’s economy has been growing steadily and its picturesque islands are more and more popular among tourists around the world, and investors are showing a lot of interest in Koh Samui, which has transformed it into a luxury living retreat. Therefore, right now is the perfect time to buy a property – you’ll definitely see a nice return on your investment. You may also be thinking of moving to this idyllic island yourself in order to have a peaceful, laid-back lifestyle. What better way to have the perfect life than to get a beautiful apartment right next to the beach, and close to all the other facilities you will ever need?